The Anterior Cruciate Ligament (ACL) is an important ligament for normal knee function and stability. The ACL may stretch beyond its normal range if the knee twists abnormally or sustained a hyperextension injury as in a collision. 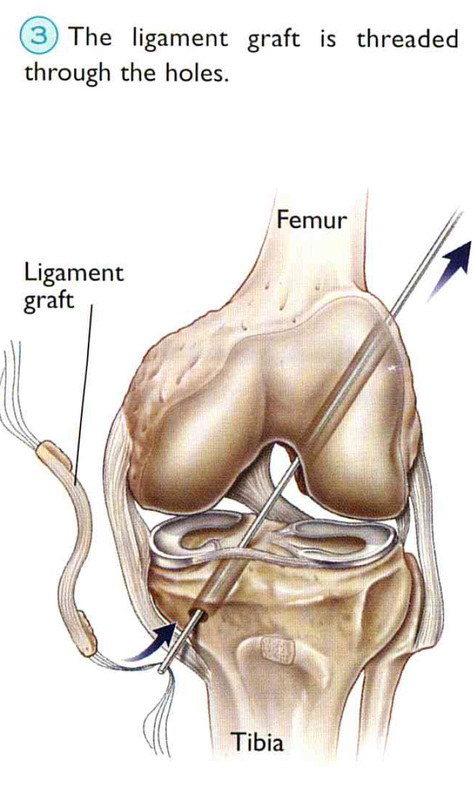 This may lead to a complete tear or separation of the ACL ligament. 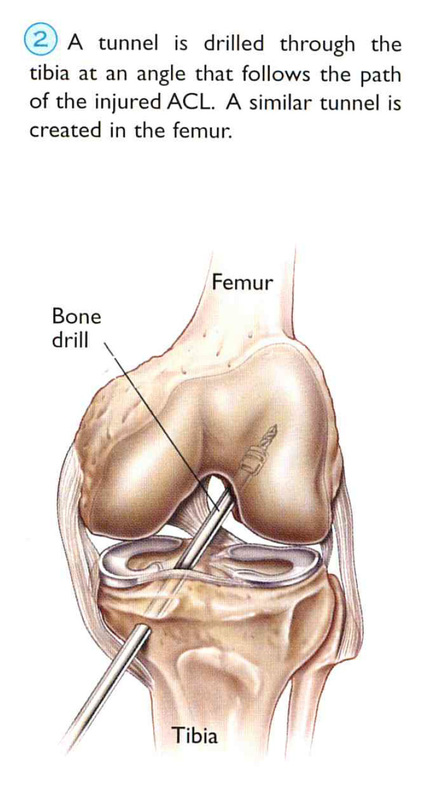 A complete tear of the ACL can cause recurrent knee instability preventing return to rigorous activity. In particular the ACL and PCL(Posterior Cruciate ligament) control the movement of the tibia forwards or backwards during walking and running. 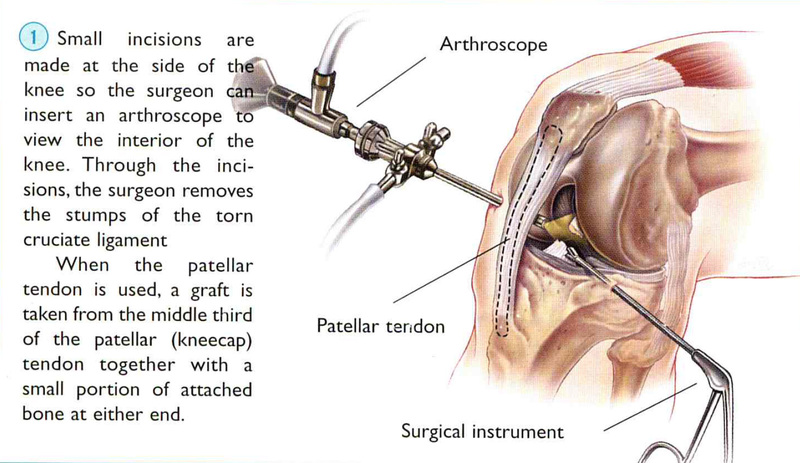 The aim of surgery is to provide the most stable joint possible. Without reconstructive surgery the knee joint may degenerate further, with damage the cartilage of the femur and tibia leading to early adult posttraumatic arthritis or cause associated injuries to the menisci in the knee joint that will further compromise knee joint stability. Surgical reconstruction is performed by replacing the ligament with a tendon graft harvested from the patella tendon or hamstrings muscles at the back of the leg. In some cases a ligament graft from a human donor may be used. Dr Smith is using the latest surgical techniques to enhance recovery to full activity within 6 months after such a serious knee injury. He uses arthroscopy assisted and limited incision surgery to reduces post-operative morbidity.Following you surgery you will follow an intense rehabilitation protocol to strengthen your thigh muscles and to regain the movement in your knee joint.